Beautiful quality 2016 built home that is a wonderfully designed spilt ranch floor plan. This home comes complete with hard laminate surfaces in the large living and hall areas. 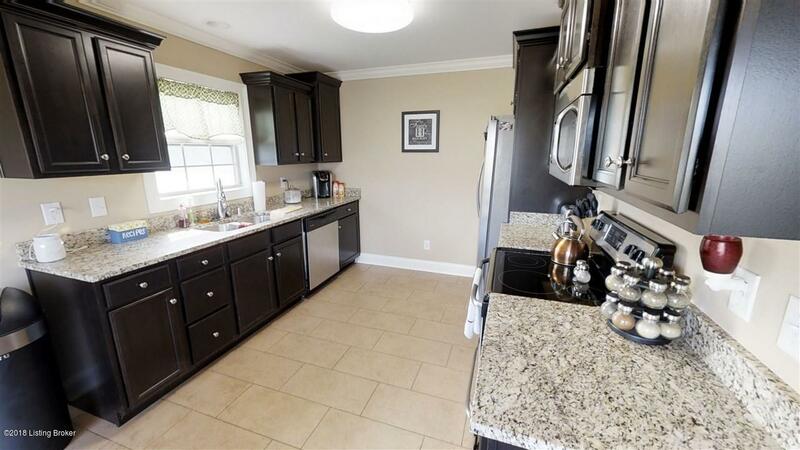 The tiled kitchen boasts gorgeous granite counter tops. Crown molding accents the slick finished ceilings through out the entire home. Step into the large master bedroom with a walk in closet and enjoy the oversized completely tiled step in shower which is surrounded by two separate master bath sinks and vanities. Separate laundry room and a spacious corner lot perfect for enjoying the outdoors. Brick front, 2 car garage, sidewalks throughout the neighborhood which includes underground utilities. conveniently located just outside of Louisville for fast !-64 access and close to the Simpsonville shopping center.